For my favorite restaurants in Athens you can click here . The “Beyond Athens” article is also a very personal list, which I will be continually updating as I visit more places both around Greece and Cyprus. It also includes three (ultimate) wine destinations, for wine aficionados who are seeking a truly memorable wine experience and are looking to enjoy some very rare gems at smart prices. A boutique hotel in Mani run by the Sepsas family, situated at just 5 minutes from the Gerolimenas historic port. 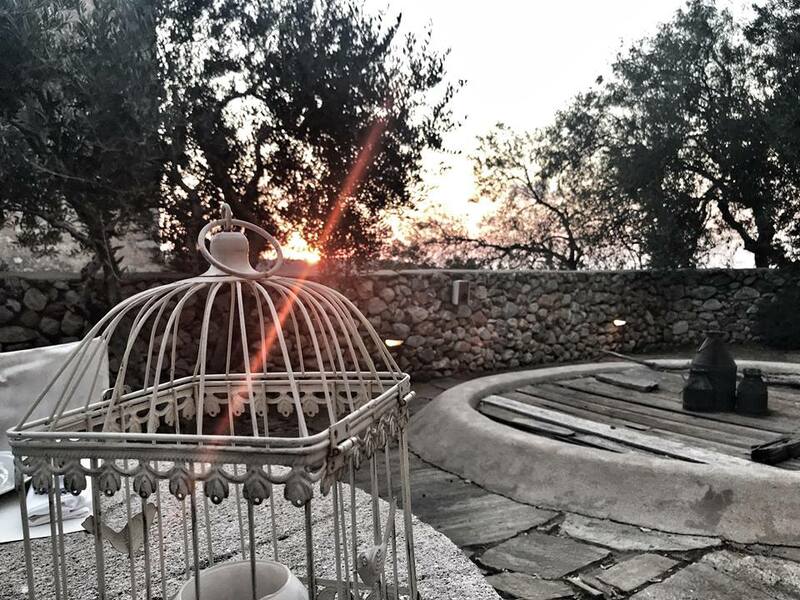 In its atmospheric garden, with its fantastic sunset, there is an almost secret restaurant which is very friendly to families. All dishes are prepared with local ingredients. What to try: orzo with beef, local orange salad and meat from a local farm. The fish carpaccio is excellent as well. 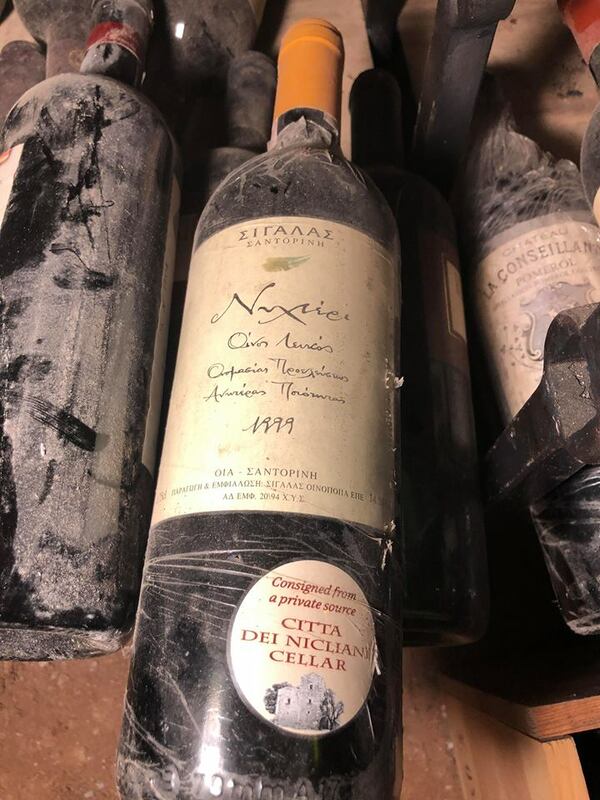 But there is so much more than food at Citta dei Nicliani, since the wine list of Panagiotis Sepsas offers a choice of approximately 2.000 different labels (there are almost 6.000 in the cellar); included you will find the first vintage of Alpha Estate, T-Oinos Clos Stegasta and Sigalas Nykteri 1999 (pictured below). The numerous choices from around the globe are exotic; Sine Qua Non, Kongsgaard, Harlan, Cayuse and direct imports of Bruno Giacosa and Soldera. An impressive Monfortino vertical starts in 1958. Prices are very reasonable; Valentini 2012 Trebbiano (€90). La Mission Haut Brion 1993 (140), Chateau Suduiraut 1967 (140) or Massetto 1992 (400). A classic destination in Thessaloniki, which focuses on traditional dishes. What to try: fresh vegetables (lahanides), lamb chops or orzo (youvetsi). Of course, meat is the King at this place. Greek cuisine at its best, full of spices and flavours. Wine plays a very important role and the list including bottles of Lunch Bages and Clos de Papes or back vintages of Gerovassiliou, Porto Carras, Alpha and other iconic Greek estates. Fair prices with Argyros Oak 2008 at €40. Located at the old port of Chania, the restaurant of Afshin Molavi from Manousakis Winery, is a wine destination on its own. The extended wine list features a complete Greek selection including the very rare Domaine Dalamaras ''Vignes Franches'' (€180 ), but also highly sought after wines from France, Italy and Spain. There is a formidable list of Bourgogne producers with Dujac, Grivot, Benjamin Leroux, Meo Camuzet, Raveneau, Pousse d’or, and Hubert Lamy (St Aubin at €110) standing out, together with Champagnes from Salon, Agrapart and Selosse. The Rhone is also well covered with Clape, Jamet, Henri Bonneau and Chave. There is even Domaine Tempier Rosé Bandol at €72 and Pergole Torte Montevertine. The food is very tasty and complements the wines; included you will find spanakorizo with clams and handmade Cretan pasta with wild boar sausage, which are two of the many irresistible choices. Cosy place with fresh seafood and salads. What to try: grilled scallops and salad of critamo (cripple), which is a local Greek delicacy, with tomatoes. Some nice selections of wine available by the glass. A destination in its own right, in a setting which has an ‘island’ streak and faces the west, so sunset is the ideal time of the day to enjoy a grilled fish cooked to perfection, such as a golden grouper (stira) garnished with local greens. Simplicity at its best. A proper wine or Champagne will just elevate the overall experience yet this is something that needs to be handled mostly as BYOB. The ultimate seafood destination in Cephalonia with tables on a platform, which literally hangs over the sea. What to try: the seafood pasta with razor clams alongside a local Robola wine or a dry rose. Owner Marinos Souranis is a very passionate person, who shares his love for raw fish with his customers, including characterful local cheeses, a selection of fresh fish and prime cuts of meat; these he meticulously prepares in his Josper oven. Success for Marathia came because of this special focus on local ingredients and the extra care the staff pays to every little detail. What to try: kariki (local cheese fermented inside a pumpkin, as strong as stilton, wild artichokes with sea salt, red mullets (pictured below). Great wine list with a fine selection from wines from Tinos and the other Aegean islands. Greek cuisine which focuses on the freshness of the ingredients by Chef Antonis Psaltis. Τhe restaurant is located in a picturesque garden in the centre of Chora. A colourful place, just like its dishes. What to try: fresh ravioli with shrimp; the impressive desserts are a must here. Thalassaki is located on the bay of Isternia, approximately 40 minutes from Chora, to the North of the island. The setting is stunning (by the sea), the food is exceptional, and special attention is paid to impeccable service. 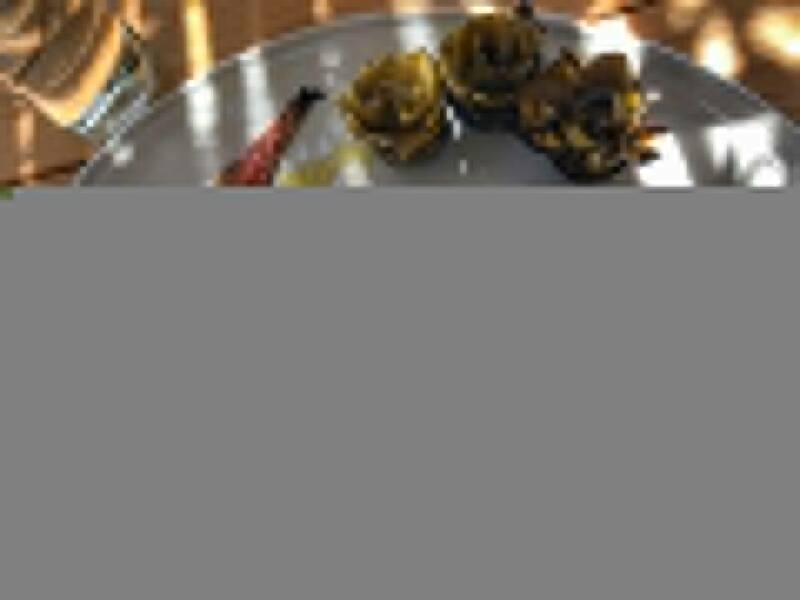 What to try: fish is cooked to perfection, but there are also a dozen other delicious things to try such as the aloifes. Unique and pricey experience. Located downtown near the central road that leads to the Virgin Mary church. Atmospheric restaurant, friendly service and exciting traditional food. Stuffed zucchini flowers with rice, artichoke pie and local cheese. Lamb in ladokolla is a ‘die for’. Belle epoque atmosphere and fine dining in one of the most stunning locations in Greece: the verandah of historic Poseidonion hotel. Chef Stamatis Marmarinos, offers creative contemporary Greek cuisine infused with local gastronomic traditions and ingredients. Proper wine list and service. What to try: An ‘Athenian’ in Spetses, Red hot chilli saganaki and Red mullet with skin. Inspired food, superb presentation and lovely wines in this modern interpretation of Cypriot cuisine. What to try: Halloumi wrapped in bacon, baked pork shank and duck in a sauce with walnut jam. Located in Limassol this is not to be missed. Located in the gorgeous Miliou village, of the 85 inhabitants, this historic tavern dates back to 1937. Fabulous, real food with soul and flavour. 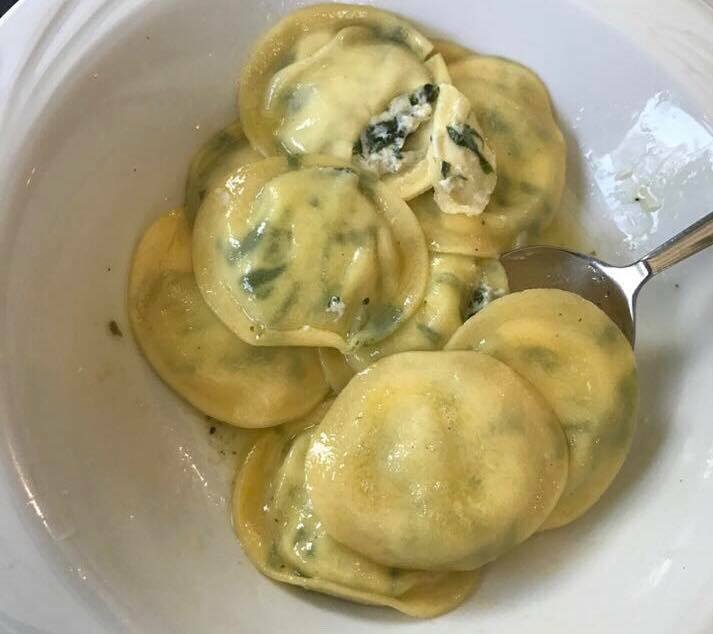 What to try: Rabbit krasato (stewed in wine) locally called ‘kounelou’, also agrelia (eggs with asparagus) and stuffed raviolia (pictured below). Another new entry to explore is Pralina Experience in Nicosia featuring an extensive wine list by Vasos Manoli and high - end, gourmet food by top Greek Chef Lefteris Lazarou.